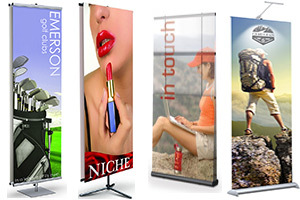 Hanging Banners - Grab Attention From Across The Room! Hanging Banners are attention grabbers at trade shows. 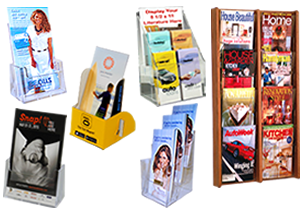 Every person in the vicinity can see your graphical promotional message from across the room, which is very powerful in promoting your products and bring customers to your exhibit booth. Hanging banners have a strong visual impact when hanging from high ceilings above at large conventions, trade shows or exhibitions. 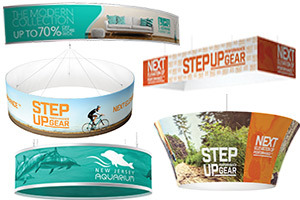 Hanging banner models include rectangle, triangle, round and circular shapes. Various sizes available. Aluminum construction. 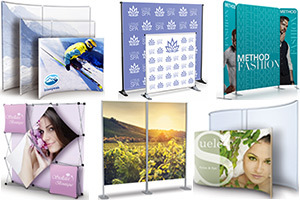 These hanging banner systems are quick and easy to assemble with easy swag and spring button assembly. Just press swedged uprights and crossbars into respective corner hub until push buttons click into place. Once assembled, slide pillowcase graphic over frame and zipper it closed to complete assembly. Large format graphic templates for your custom artwork is available for easy upload. Assembly instructions included. Please call our office today @ 866-550-0656 with any questions or if you cannot find what you are looking for on our website our knowledgeable customer service representatives will help point you in the right direction and find the right hanging banner system for you.